Comfortable to handle, with a unique soft corner curved design, this versatile carrier is equally useful on-set and off. 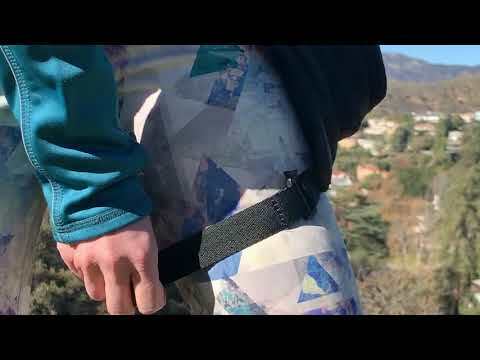 Its adjustable wide fabric waistband and padded exterior lets it be worn in a number of ways: holster style with the stay-in-place resizable and removable thigh-strap, as a fanny-pack, or even cross shoulder. An everyday piece of work-wear, the black KSUHP1 is large enough to fit a Sound Devices MixPro-3 or MixPre-6 for stealth recording. Small elastic pouches within are sized to fit Stingray KSLP1 Lav pouches, and a host of handy goods like cables, adapters, tape, pens, and cleaning kits. The sound department is just the start: the Utility Hip Pack can facilitate various roles in other on-set departments like lighting, grip, camera, make-up, still photography and script. The Stingray Utility Hip Pack weighs just 14 ounces/390 grams. Priced at $123.50, it is available online or from K-Tek dealers.